A fully functional Game Boy for an iPhone? Yes, please! And if you thought this was some sort of fan fiction or some crazy contraption, it's not. 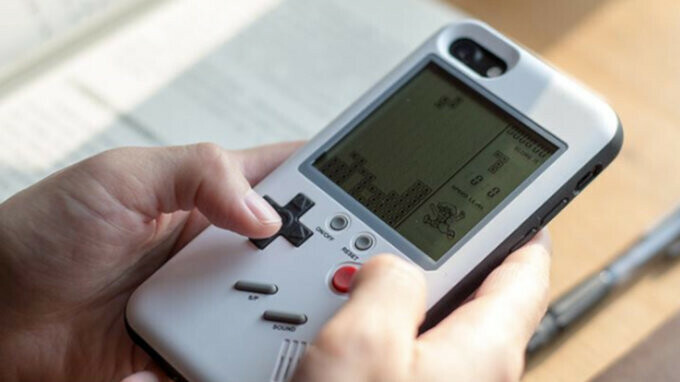 It is indeed a fully functional Game Boy, one that you can use to play Tetris and other retro titles on, and it's a perfectly well-fitted case for the iPhone. There are actually various such Game Boy cases for the iPhone out there, but this particular one stands out with glowing reviews and a reasonable price. It's made by a company called Wanle Gamers, has more than a hundred five-star review, and is now on sale for just $20! There are models that fit various iPhone models, from the older iPhone 6 and 6s to the latest iPhone 8 series and the iPhone X. With this being a case, expect it to act like one: it will protect your phone, it will still provide proper access to buttons and ports, it's fairly lightweight for what it is, and it comes with 10 classic games pre-installed: Tetris, Tank, Formula One Racing, Snake & Block, and others. Do they sell a case for the case? Exactly. Download an emulator app and download the ROMs. Turn your iPhone into a Gameboy, not your case! Gotta admit that’s some dope $hit. Did some looking into it, and it’s not a “fully functional gameboy”. Remember those old lcd handheld games that came with a bunch of knockoff games? That’s what this is. It’s only Gameboy in how it looks. "fully functional Game Boy"? It's looks like this thing only can play tetris and other games from brick games from 80s. Make it run Super Mario Land, or a real gameboy cartridge and we'll talk.. Oh wait, it already exist, it's called Hyperkin SmartBoy.